We prepared gift baskets to be honor chosen guests at the end of the feast. 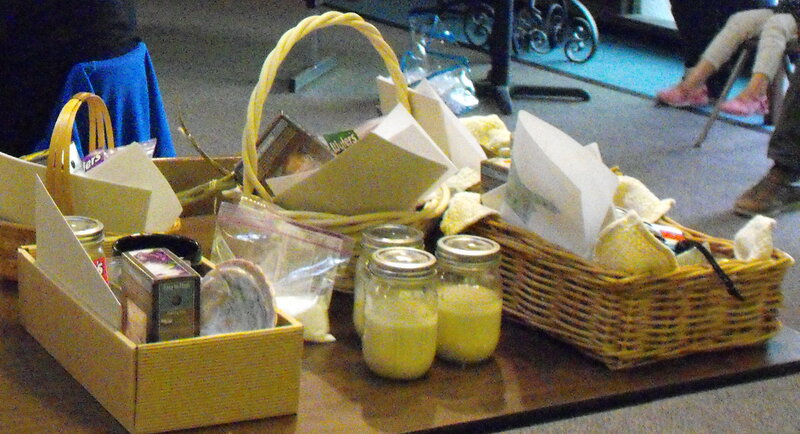 The Southeast group went with a pan-Indian theme and included recipe books, jars of sour corn starter, handmade soaps, beeswax candles, abalone shells (thanks Molly! 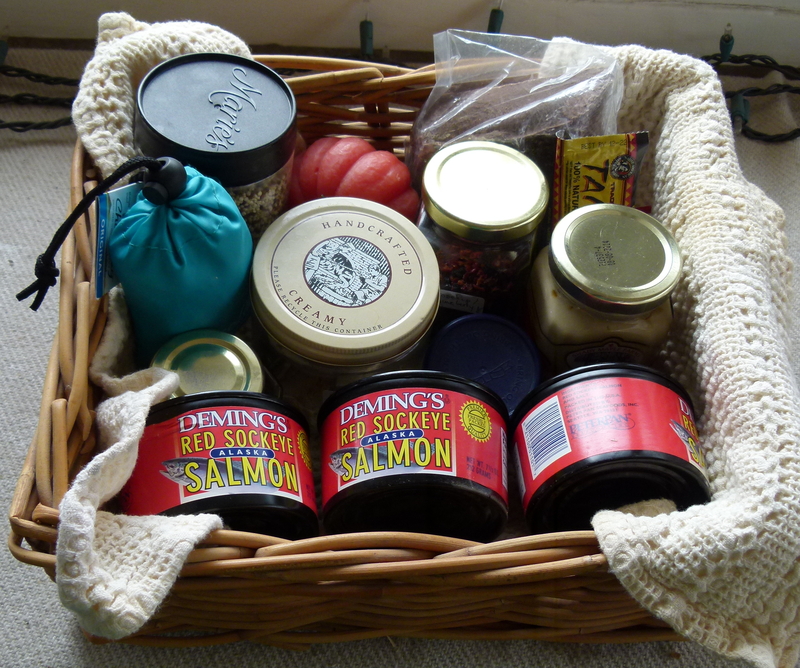 ), canned Alaska salmon, Tanka bars (buffalo/cranberry from Kyle, SD), rainbow quinoa, dried mushrooms, dried rose hips, blueberries, & mint, chocolate, maple butter … and a reusable grocery bag! Special thanks to the Bozeman Community Food Co-op for their generous donation.